Get 20+ 3CX add-ons for one low subscription price! Now you can choose ALL the products you want, because everything is included! 10+ Years - 1000's of Customers - 85+ countries. For more than 10 years VoIPTools have developed solutions for thousands of customers in more than 85 countries around the world. Our first class technical support and global reach will help you get the most out of your 3CX investment and help grow your expanding business. Don't settle for out of the box solutions, get exactly what you need. 3CX is a great phone system. Our solutions expand the capabilities of 3CX to ensure you get the most out of your 3CX investment and makes a great PBX even better. With customers in more than 80 countries, Our global reach ensures we have the capabilities needed to support your company around the world. With our certified 3CX Engineers and more than 200 3CX phone system implementations, we have the expertise needed to successfully implement your project. With more than 35 programmers in the USA and India, we have the staff and expertise needed to build cost-effective solutions for your business. Do you need to build a first-class Call Center? 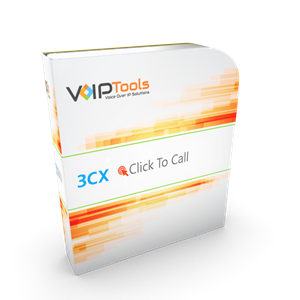 VoIPTools has a broad range of tools to help you create a robust Call Center using 3CX. Monitor agent activity in real-time with our wallboard. Create custom Call Center reports with 3CX Exporter. Automate outbound calls using one of our dialer solutions. Routing tools ensure calls are directed to the correct Agent. Get instant feedback from your customers using our post-call survey tool. Need a custom integration? Our team of dedicated 3CX programmers can build exactly what you need. If your serious about building a call center with 3CX, then you need VoIPTools. If your company is engaged in collection activities, VoIPTools can make your processes more efficient. Automate outbound dialing with one of our dialers. Archive recorded conversations with Recording Manager. Monitor Agent activities in real-time with our Wallboard. Create custom reports with 3CX Exporter. Manage customer interactions with one of our CRM Plugins. Need a custom solution? We have a dedicated team of more than 35 3CX programmers ready to help. If you need to get the most out of your 3CX investment, we can help! Are you engaged in marketing activities? 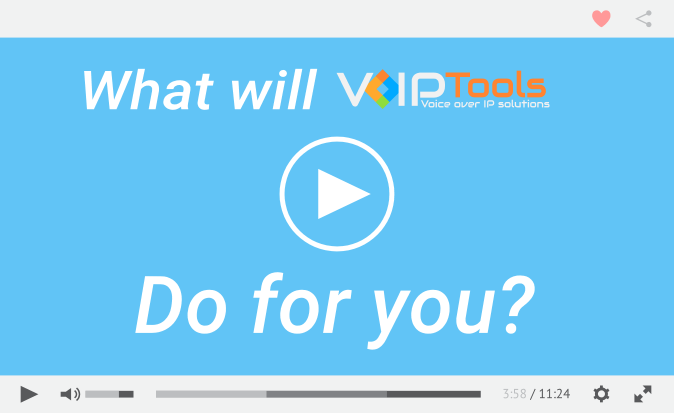 VoIPTools has products specifically designed for you. Our dialers can automate your outbound marketing campaigns,. Ensure your customers are routed to the correct agent the first time with our routing tools. Monitor inbound and outbound agent activities in real-time with our wallboard. or inbound marketing that generates customer inquiries, we have the tools to enhance your business and improve your marketing efforts. Make it easy for your customers to contact you with our free Click-To-Call website component. Pop customer data from your CRM with our 3CX plugins. Build custom reports with the help of our 3CX Exporter. Get instant feedback from your customers with our post-call surveyor. You invest a lot of dollars on your marketing efforts — get the best back for your buck with VoIPTools. Sales encompasses many business processes from prospecting, to customer relationship management, to marketing campaigns. VoIPTools has a broad range of solutions to augment your sales activities. Use one of our dialers for outbound campaigns. Encourage competition within your sales organization with our 3CX Competitive Wallboard. Document agreements and manage recorded calls with our Recording Manager. Ensure a voicemail never goes unheard with our Voicemail manager. Need a custom solution? We have a team of more than 35 programmers ready to create a solution that meets your specific needs. We can help you integrate your 3CX phone system with all your sales activities. Providing first-class support to your customers requires a broad range of tools. Maximize your 3CX investment by tightly integrating your phone system into your support processes. Do your customers need after-hours support? You need 3CX On Call Manager. 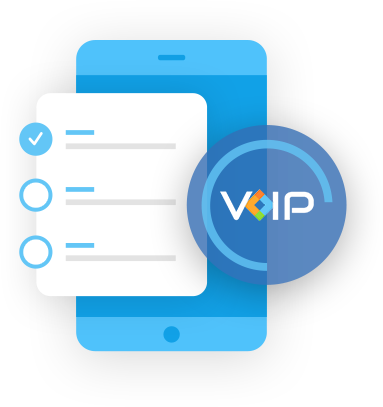 Route VIP calls to a priority queue or assigned agent with our routing tools. Automatically pop customer information on inbound calls with our CRM plugins. Monitor agent productivity with our Wallboard. Get immediate feedback from your customers with our Post Call Surveyor. Need an audible warning when your support team is overwhelmed? 3CX Queue Notifier (Chime) is the solution you need. We have the tools you need to get the most out of your 3CX investment. 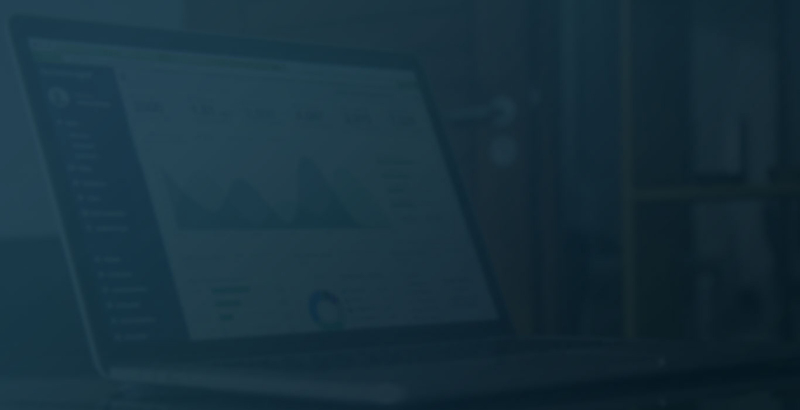 Whether your business focuses on Sales, Marketing, Customer Service, or Support our 3CX CRM plugins can enforce the use of your CRM, reduce the time needed to manage contacts, and improve customer interactions. Do you need a custom integration? We can help integrate your CRM with 3CX and maximize your investment. 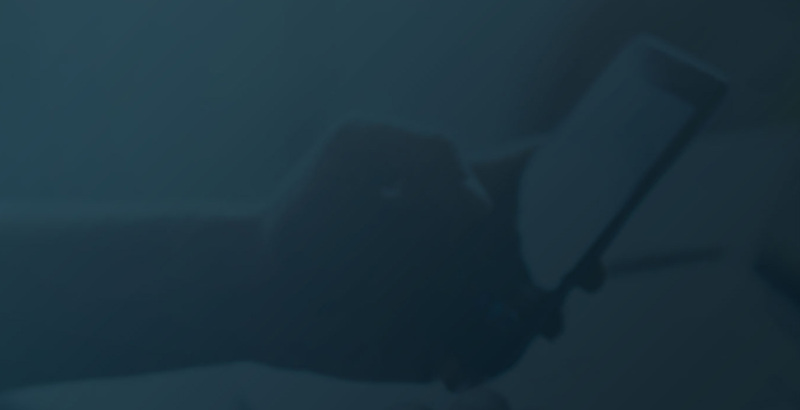 Whether you are a developer needing simplified tools to develop and troubleshoot software development activities, or are looking for custom software development resources, VoIPTools has the tools and expertise to help. We have more than 10 years experience developing VoIP solutions. We can help! Dialers come is many forms, whether it’s a traditional robo dialer like 3CX Dialer, or a preview dialer like 3CX Surveyor, or non-traditional dialers that automate dialing functions including scheduled calls like 3CX Audio Scheduler, or demand based dialers like 3CX On Call Manager and 3CX Click-To-Call. Regardless of your needs, VoIPTools has a solution to meet every need. Need a custom solution? We can help there too! Responding quickly to emergency situations can be greatly enhanced through tight integration with your 3CX phone system. Implementing 3CX 911 notifier ensures your emergency personnel know instantly where the problem exists, and turns any phone into on-demand alarms, panic buttons, and more. 3CX On Call manager escalates emergencies to an ever-expanding group of staff. Our routing solutions can ensure important calls get routed to the right place. Whether you need tools for emergency notification, or tools to document what happened, VoIPTools has the needed solutions. And if you need a custom solution, we can help there too! Hey, what’s better than free? Nothing! VoIPTools has several free utilities you can download and install right now. There are no hidden fees, no limited features, no expirations, just full-function utilities for free. So what are you waiting for? Download your free utilities today! Managing recordings, either for regulatory compliance, documentation, storage management, or quality control, VoIPTools has the right tools for you. With 3CX Recording Manager you can add notes to a call, score how your CSR handled the customer, create permanent archives, convert recordings to MP3 format, and define retention policies. 3CX Voicemail Manager enables you to transcribe the conversation, escalate unheard voicemails, utilize group voicemail boxes, forward the voicemail as an email attachment in MP3 format, and define retention policies. These add-ons are a must-have for any organization that needs to manage recordings and voicemails. Operating a distribution company has unique requirements. We can help improve safety with emergency notifications in the warehouse, provide scheduled announcements for shift changes and break times, notify staff when people have been waiting in the queue too long, add phone functions to line of business apps, and more. Providing effective care for patients requires regular communication and careful documentation. Using tools like 3CX Robo Dialer for automated appointment reminders; providing access to on-call physicians using 3CX On Call Manager; ensuring quick responses to emergencies using panic buttons on phones using 3CX Emergency Notifier; and custom integrations with practice management software for screen pops, note taking, and scheduling; all can make a medical practice work more efficiently and provide better patient care. Ensuring regular communication with customers, documenting agreements, and providing a high-touch relationship with customers is important to any business. Our tools help you reach out to customers using CRM integrations and our preview dialer – 3CX Surveyor. 3CX Recording manager helps document agreements, and manage long-term storage of recordings. For call centers, our Wallboard helps managers monitor employee performance, and 3CX Post Call Surveyor helps ensure your interactions with customers are meeting their needs. Whether your challenge is tracking billable time, documenting conversations, or improving client interactions, we can help. Our 3CX Enhanced Billing Codes add-on ensures phone calls are billed to the correct client. 3CX Recording Manager helps document agreements, enables you to summarize conversations, and helps manage recording storage. Our automated routing tools ensure clients are automatically transferred to the correct attorney. Our CRM integrations make it simple to keep client history up to date. Improving your client interactions just got a lot easier with VoIPTools. Safety in manufacturing facilities is crucial and our 3CX Emergency (911) Notifier ensures immediate notifications through panic and alarm buttons programmed on all your phones. Our 3CX Audio Scheduler eliminates the need for costly or antiquated systems used for scheduled announcements (shift changes, breaks, etc.). Our recording and voicemail management tools promote effective communications through email notifications, group voicemail, and voicemail escalation. Custom integrations with your line of business applications help ensure important interactions with customers are documented. Check out all of our tools to make sure you are getting the most out of your 3CX investment. Safety is an important focus for any educational facility. Ensuring fast response when emergencies arise is critical. Our 3CX Emergency (911) Notifier ensures you know exactly where the issue is, and ensures immediate notifications are sent to critical staff. Panic and alarm buttons can be programmed on every phone. 3CX Audio scheduler can eliminate the need for proprietary solutions for scheduled audio (school start, class changes, recess, etc.). Ensuring mandated phone recordings and voicemail are preserved and archived for public record can be accomplished using our archival tools – 3CX Recording Manager and 3CX Voicemail Manager. Utilizing our automated dialer solutions ensure parents are aware of the status of lunch accounts, library resources, field trips, etc. See how our tools can help your facilities be more secure. 3CX On Call Manager has eliminated our use of multiple live answering services we had tried and given up on in the past. …the savings and reliability we have gained are well worth it. 3CX On Call Manager has been a great improvement over the live-answer call center our organization used. Not only is our on-call schedule always up to date now, but the [paid answering service] errors have been… eliminated. 3CX Recording Manager gives our users a powerful and intuitive interface to search for their recorded calls. The retention options keep the number of recordings in check and allows for long term archiving. We’ve been using 3CX On call Manager for over a year now. …it has proven to be very reliable and easy to use. We were using an answering service with mixed results. Now we’re not only saving money, we’ve reduced our on-call response time dramatically. The guys at VoIPTools are awesome! They built the perfect custom solution for us, and they did it on-time and within budget. Our company needed a true 3CX expert. VoIPTools is our go-to company for extending the capabilities of 3CX. We have used several VoIPTools products for a couple of years now and they have been rock-solid. Their technical support is absolutely the best! Enables multiple applications to communicate with 3CX whether your PBX is local or hosted in the cloud. VoIPTools products communicate with 3CX through the VoIPTools Relay Agent.